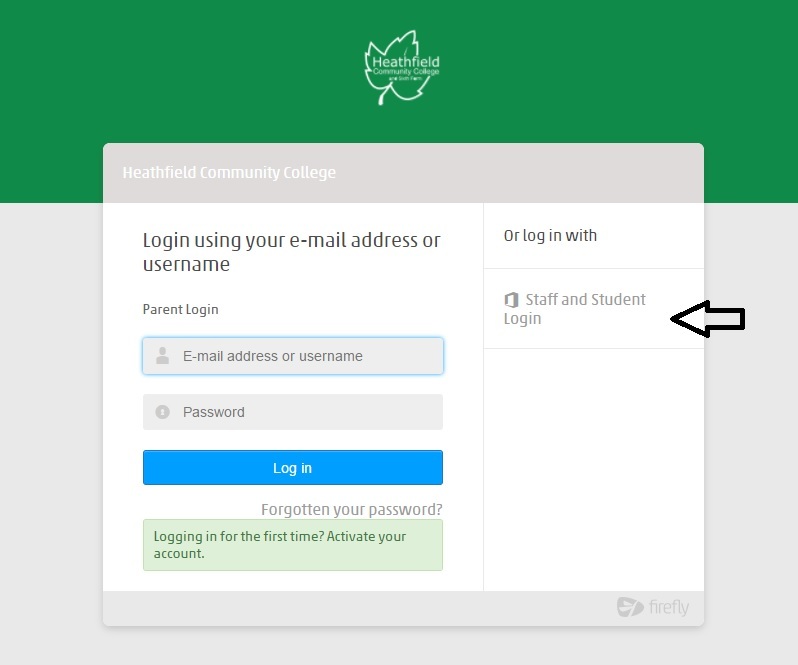 There has been a change to the way Staff and Students need to login to Firefly. When you see the window below select Staff and Student Login and then use your school email address and password to login. Click here to continue to Firefly.